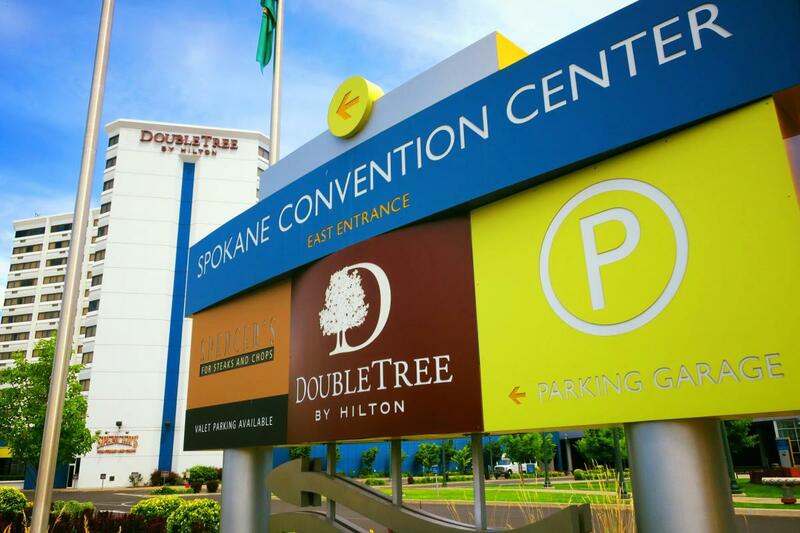 In the heart of downtown, the DoubleTree by Hilton Spokane City Center puts you in the middle of it all. 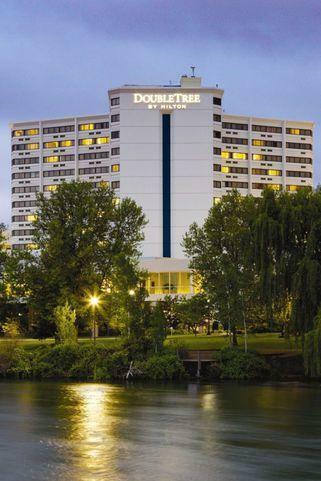 Situated on the banks of the Spokane River we have 375 guest rooms, 21,000 square feet of meeting space, a sky bridge connecting our hotel to the Spokane Convention Center. Our hotel is also just steps away from restaurants, shopping and entertainment including the INB Performing Arts Center. 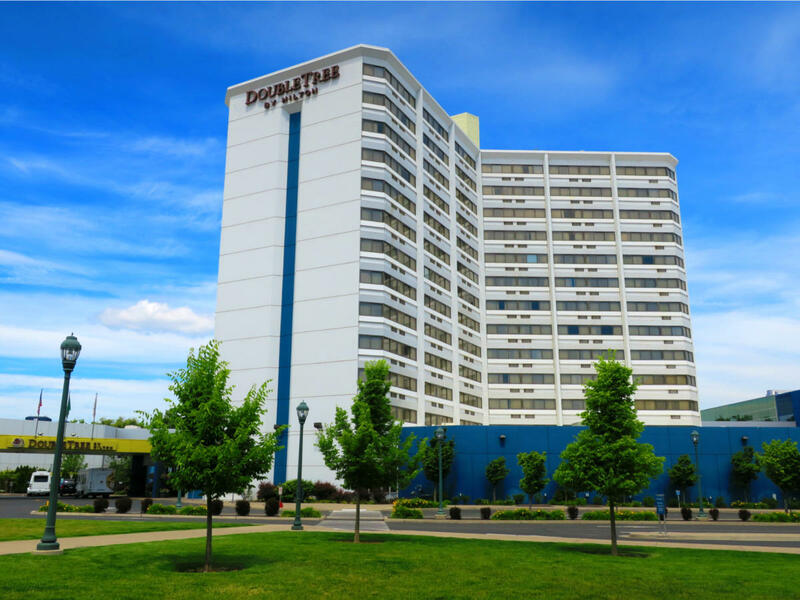 With an ideal location, airport shuttle service and a covered parking garage available the DoubleTree is in an ideal location for an engaging meeting or a relaxing vacation. Hours: The hotel is open for service 24 hours a day. 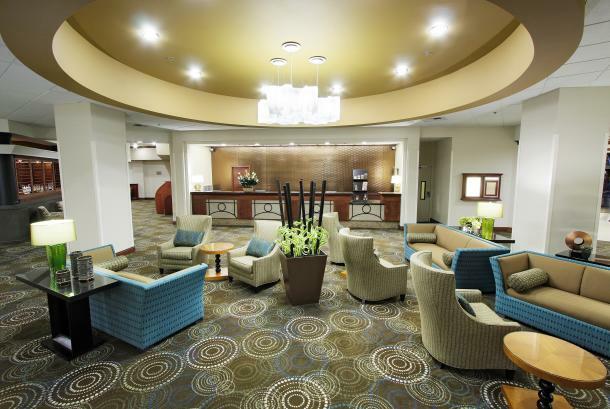 Description The DoubleTree by Hilton Spokane City Center is an ideal choice for your next meeting. 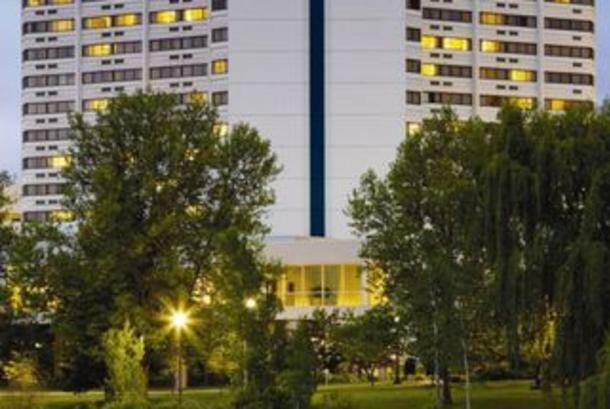 The hotel has 375 guest rooms, over 22,000 sq. ft. of meeting space and is directly connected to the Spokane Convention Center via a sky bridge overlooking the Spokane River. Located in the city’s business and convention center district, the hotel is next door to the INB Performing Arts Center, the Centennial Trail and Riverfront Park. 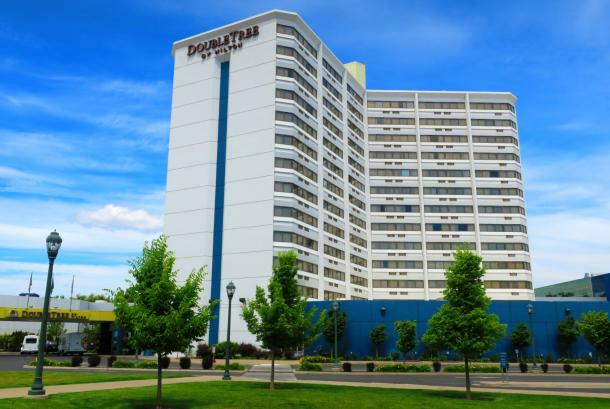 Within blocks you will also find many of Spokane’s finest restaurants, entertainment venues and shops including River Park Square Mall, our region’s shopping center. Traditional guestroom amenities include our Sweet Dreams bed, complimentary standard high-speed wireless Internet, coffee/tea station, iron/ironing board, 37” LCD/HD Television with premium channels and a business-ready desk complete with ergonomic chair, dual-line telephone and voicemail. Premium guestrooms include all traditional amenities along with plush bathrobes and a larger 42” LCD/HD Television with premium channels. Additional hotel services include: • Shuttle service to/from airport (GEG) • Spencer’s for Steaks & Chops • Shutter’s Café – proudly brewing Starbucks® coffee • 24-hour Business Center • Covered Parking Garage & Valet Parking • 24-hour Fitness by Precor® Center • Outdoor swimming pool and hot tub The hotel provides complete conference services including an on-site audio/visual team. 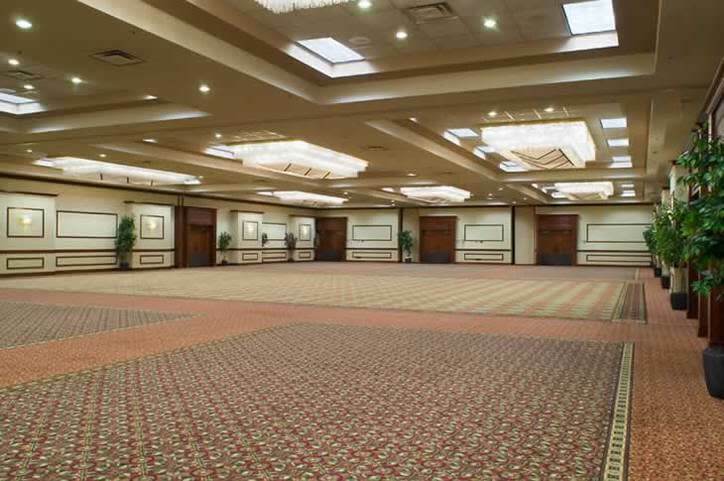 Meeting planning is easy with our Event Services team, creative culinary staff and our customer-focused attitude. All this and a warm chocolate chip cookie at check-in! Experience DoubleTree by Hilton.